A couple of months ago, I wrote about the new Citi Forward card. 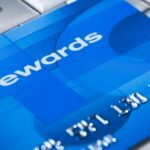 In case you don’t recall, it’s a relatively new reward credit card that offers ThankYou points instead of cash back rewards. Given that you can exchange points for $100 store gift cards on a point per penny basis, this works out to a 5% discount on all Amazon purchases. Pretty nice, especially considering the amount of shopping that we do at Amazon. Anyway, the point of all this is that we’ve been look for a replacement for the Chase Freedom card, whose rewards were recently restructured, and we’ve settled on the Citi Forward card. What about our American Express Blue Cash card? As I’ve noted elsewhere, the rewards associated with the AmEx Blue Cash card have likewise been restructured. When I last wrote about the Citi Forward card, I noted that we’d thus be replacing our Blue Cash card, as well. While that post generated a good bit of interest, I never got around to writing a followup. Today, I’m doing just that… My current line of thinking is that we’ll be switching to the Charles Schwab reward card. 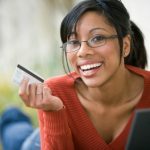 This is a Visa-branded card that offers 2% cash back with no reward cap and no annual fee. The only requirement is that you have to open a Schwab One brokerage account in order to get the rewards. Given that we’ve already passed the $6500 spending threshold to earn the full 5% cash back on gas and groceries with our AmEx card, we probably won’t pull the trigger on this change until later in the year. And who knows, by then the reward credit card landscape may have changed. I’ll be sure to update again when we make a move. I saw my Blue Cash Reward Dollars dwelling over the years while my spending is up every year. I had switch to Fidelity 529 reward card straight 2% contribution to your 529 plan with no limit. Reward dollars are credited to your fidelity account monthly. This definitely beat the 1.25% by blue cash card. Did you close out your other ccs? I got three new ccs last year and I now think that may have hurt my credit score even though I never use two and always pay the one off. I was thinking about switching yet again but I’m concerned about how this will affect my credit score. Any advice on how long to wait to open a new one or close out the old ones? Thanks for the follow-up! I’m seriously considering getting a CitiForward card to accompany our Amex Blue Cash card. We won’t be doing the Schwab option since we don’t have an account, but that does sound like a good option. We use our AmEx for everything we can though, so hitting the $6500 isn’t a problem. Thanks for a quick response. You are right. When I dug a little deeper into the rewards website I did find a few gift cards at $100 for 10,000 pts for a few stores in my area and a couple I could use online (I guess). No Home Depot but Macys, Staples, the Gap and some restaurants. I usually like money better but this will do. My wife and I have been using the Schwab card for about six months now and loving it. We only use 1 cc each with strict budgets to make sure we aren’t overspending in the name of earning points. Diane: Statement credits are always priced at a premium. We’ve always done $100 Home Depot gift cards for 10k points. That’s pretty much like straight cash to us. Check it out (unless they’ve changed things). I got this card when you first mentioned it a couple of months ago and I don’t seem to have the same reward structure you have. In order to get $100 statement credit or $100 anything else except charity donations I must use 14500 points or more. This is not one point for one dollar. How did you get a better reward system? What a timely post. I JUST got the Schwab card and it is definitely a keeper. It’s my go-to card for everything pretty much outside of a few specific categories like travel and gas. I love it.